I opened the Pollan-Austen Fitness Center before my kids were born. We were in business for about 10 years. My son Macklin was born about two years before we closed the center. We closed for two reasons—our rent increased so much that we couldn’t stay open any longer and we (my partners and I) were exhausted—we all had young kids and I wanted to spend more time with my son. I ended up as a stay-at-home mom for about 18 years! While at home, I loved cooking for my family and out of that came many of the recipes for The Pollan Family Table. It is not overrated at all. As far as I know you only go around once. Each person has to decide for herself what having “it all” means. For me it means something different now than it did when I was in my twenties. Now it means having children I adore, a spouse that I want to grow old with, and health. Because I work at home now it’s hard for me to juggle spending time with my youngest child (the 9-year-old) and working. When emails are coming in that need responses quickly it’s hard to turn “on” and “off” and stay present when I’m with him. Knowing that I don’t need to get certain things done right away—some things can wait and that’s okay. I think I have more patience now than I used to. From a mentor/co-worker? Take things one day at a time. When I was writing the cookbook with my sisters and mother and deadlines were looming, we would tell each other to take things one day at a time and it will all get done. From your spouse? He tells me to focus on the important things. Not to sweat the small stuff! From your kids? “Don’t worry!”—something that I say to them is now what they say to me! That everything will work out and enjoy the “here” and “now.” And that you need to look inward, not outward, for validation. I’ve already learned that life is a process and you’re never too old to keep learning. I don’t expect 60 to be any different. I really can’t think of someone else’s job I would like to have right now. 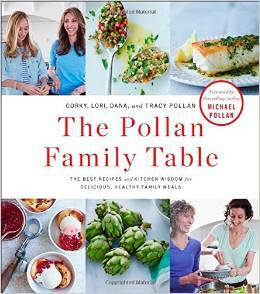 I loved writing the The Pollan Family Table and hope to write another cookbook. I wouldn’t say I’m “glad” that I’m not a teacher but I do see how hard they work and yet are extremely under-appreciated. 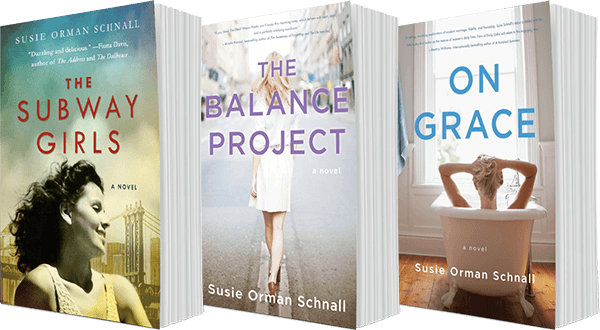 It’s so difficult to pick favorites but two that I loved are: Water For Elephants by Sara Gruen and The Goldfinch by Donna Tartt. Activity? Exercise. I do that a bit obsessively, so I’d call that a good vice, if there is such a thing. Food? Red licorice and chocolate almonds. Website? Looking up medical information on the computer. About 7 hours a night; however, I’m thrilled when I can get 8! My New York Times app on my phone. I think I: am very fortunate. I wish I: had more time to travel, to relax, and “shut off” and have more quiet time with family and friends. My kids: and who they are as individuals makes me so happy. 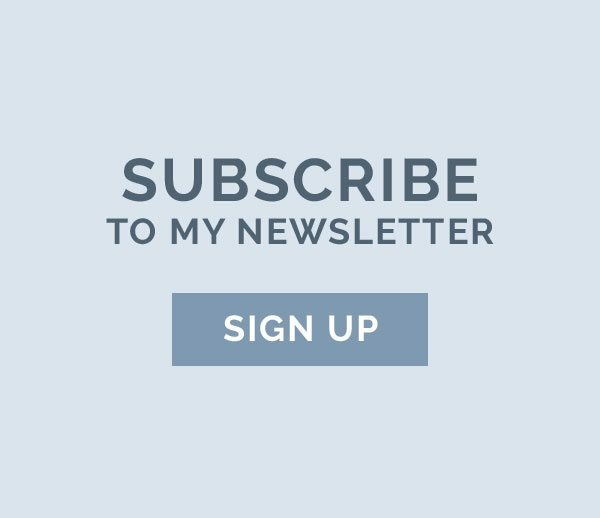 I enjoyed answering your questions; achieving a balance in life is where it’s at. Dana Pollan carries on the family writing tradition with her first book—The Pollan Family Table. Dana’s coauthors are her mother, Corky Pollan, and sisters Tracy and Lori Pollan—and the forward is penned by Dana’s brother, bestselling author Michael Pollan. Dana has spent a lifetime focusing on health, fitness, and nutrition. She started her career in the industry 25 years ago as a cofounder of the Pollan-Austen Fitness Center, which became one of New York City’s top-rated exercise studios. While she was at Pollan-Austen, Dana and her co-owners created, produced, and appeared in a series of six exercise videos promoting aerobic exercise, flexibility, body toning, and strength training. Dana then moved on to her second career as a full-time mother. Today, Dana lives in New York City with her husband and their three children. Having her own family has allowed Dana to reconnect with her true lifetime passion—cooking and food.